Watch how IBM Cloud Orchestrator helps IT departments deliver high quality services faster and easier. Find out how to transform your IT department into a self-service organization managing public, private and hybrid clouds. See how NovaTec uses IBM® Cloud Orchestrator to help customers accelerate service delivery. Use open technologies as a growth engine by providing scalability, interoperability and security for cloud applications. 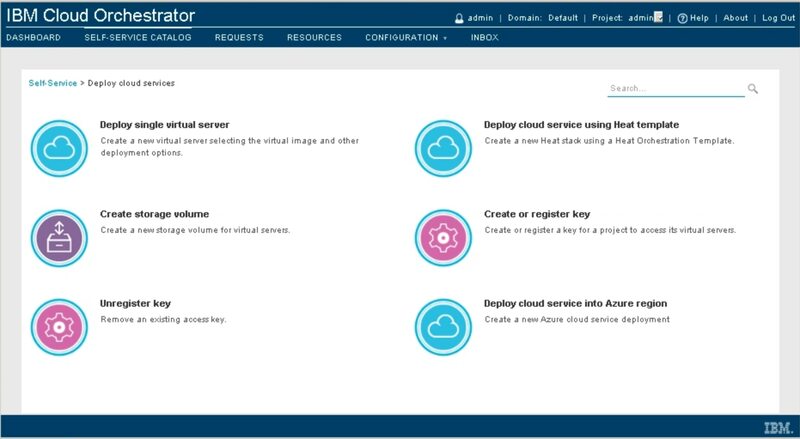 Choose from a range of demonstration videos to learn more about IBM Cloud Orchestrator capabilities. See how easy it is to consume complex, multi-cloud IT resources from private, hybrid or public clouds. Accelerate the delivery of cost-effective cloud services by standardizing and automating services. Learn the fundamentals. Manage visibility, control and security. Handle deployments and more. Receive an overview and detailed ROI report based on your company’s information.